“The Source For Your Automotive Needs” hosted by Brian Hanson is where you will be educated, enlightened, and informed concerning the Care, Maintenance, Ownership, Repairs, and Services of your Vehicles. 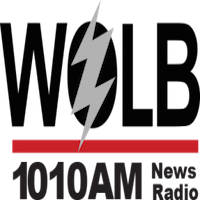 So whether you have a car, truck, van, and/or SUV, tune in Saturday mornings from 8 a.m. – 10 a.m. where information is power on 1010 AM WOLB. Catch “Life with the Princess” 10:30 a.m to 11 a.m. every 2nd and 4th Saturday! Hosted by Femi Odedeyi, going beyond the headlines, “Pathfinder International House” explores economic, political, social and cultural prospects within the African community on the continent and its multi-layered diaspora variously defined either as black, African American or afro-descendants, all of whom have roles in the emerging global scenario.